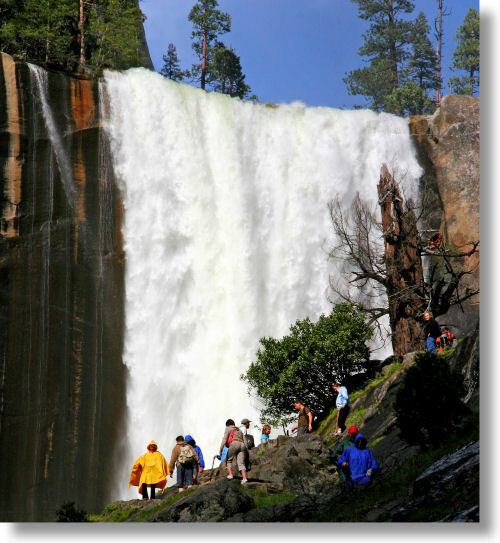 Vernal Fall is the first and most extroverted of the waterfalls you'll meet on the Mist Trail. You can't hike past Vernal in the spring without getting touched - and in heavy runoff years, verily groped - by its vapory tendrils. Rain gear can come in handy here.